Sling your laptop, documents, a water bottle, and other small items over your shoulder with the Compass Messenger Bag from Incase. Capable of holding a 15" MacBook Pro or a similar-size laptop, the black-camo Compass Messenger Bag boasts a blended-weave polyester shell, a tension buckle closure, and a padded, adjustable nylon shoulder strap. A dedicated laptop sleeve has a padded faux-fur design, while document and accessory organizers can hold items such as files and power cords. An internal zippered side pocket is ideal for a wallet or other small valuables. An exterior pocket gives you quick access to phones, sunglasses and other personal items, while a clip in the pocket can hold a key ring. A side pocket is large enough to hold a water bottle. 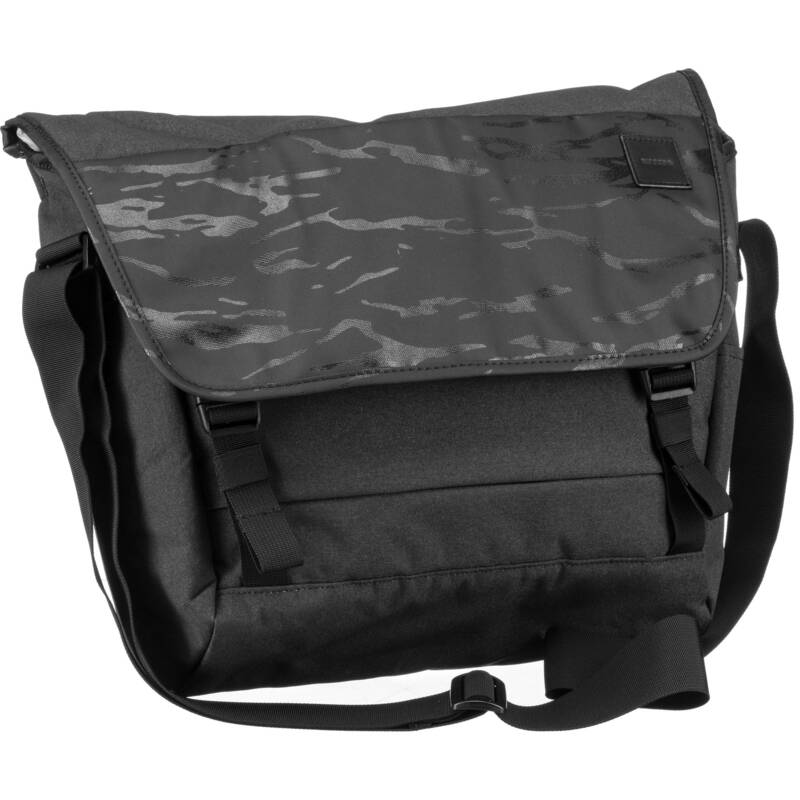 The Compass Messenger Bag is made of durable 270 x 500D blended-weave polyester, with a heavy-duty, triple-coated 900D polyester base and front panels. Box Dimensions (LxWxH) 18.0 x 15.0 x 2.5"